So come August, all of them are ripening, and there are way too many for 2 of us to eat them all. But no worries: there are so many ways to prepare tomatoes, and what we can eat now, we’ll preserve for later. Eating fresh tomatoes straight from the vine is the best: sweet, juicy, and warmed up by the sun is one of my favorite ways to eat tomatoes. You can also make delicious salads, where you mix them up with cucumbers, onions, and some herbs. I love adding a bit of parsley and dill, but you can add other herbs too: thyme, basil, chives or tarragon. Here’s a collection of fresh tomato salad recipes you can try. Have you ever had raw creamy tomato soup? If you didn’t, you’re really missing out. It takes literally minutes to make (about 5 minutes), and it’s deliciously refreshing. Wash the tomatoes and pepper, roughly chop them and add them to your blender (I love my VitaMix). Add your salt and herbs and blend for about a minute. Core and peel the avocado, and add to the blender. Add lemon juice, and blend for another 30 seconds. Pour it into bowls and garnish with fresh basil, or a couple slices of avocado if you remember to save it. Serve right away (this is not a soup you want to save for later)! You can always put your own spin on this soup: add some hot peppers to spice it up, make it without the lemon juice, or add different herbs for a different experience. You can also make cooked tomato soup that will keep in the fridge for a couple days. With just a few ingredients you’re sure to have in your fridge of pantry, you can make a yummy fresh salsa. Eat it with chips, or on tacos. Mmmm… sounds so good! Tomato sauce is easy to make. Yes, it will take some time to cook it down, but it doesn’t require too much work, especially if you get a tomato sauce machine. This machine will take the processing time down form hours to minutes, depending on the amount of tomatoes you’re using. Here are some tomato sauce recipes for inspiration. Freezing tomatoes is the easiest way to preserve the fresh taste of tomatoes. You can freeze tomatoes whole, sliced, diced, and juiced. My favorite way to freeze tomatoes is to clean and roughly cut them put them in my vitamix and blend them for 5 seconds. Literally, that’s all I do: just turn the blender on for a few seconds to make the tomatoes easier to fit in my containers. Then I just pour the blended tomatoes in my freezer containers, and take them to the freezer. I make the best tomato soup in the winter with these (recipe coming soon). Do you buy sun dried tomatoes? They are expensive and you can make your own by dehydrating tomatoes. All you need to do is wash and slice them then line them up on a dehydrator tray and let it do its job. Remove tomatoes from the dehydrator when all moisture is gone, and the tomatoes are still a bit flexible. Pack them in a tightly sealed glass jar, and keep them in the fridge or freezer. I haven’t personally tried this, but I hear so many good things about tomato jelly that it’s now on my to do list. I can’t imagine how it tastes, and it seems a bit weird, but after ll, tomatoes are a fruit, right? If you make tomato jelly and have a favorite recipe, please share it below in the comments. Since you have so many tomatoes, you’re bound to have some tomato skin left form canning or freezing them. Don’t throw those away! 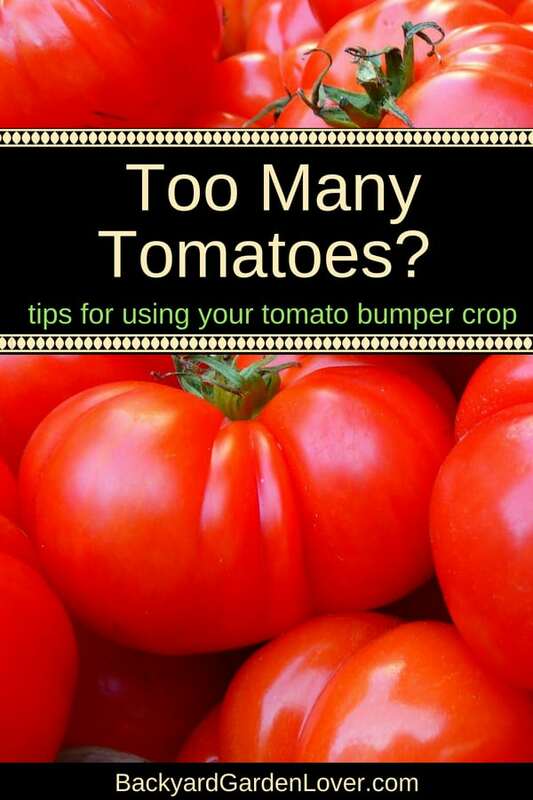 Instead, use them to make tomato powder. It’s amazing how many ways oyu can use it: add to soups, sprinkle on your pizza, enhance veggie smoothies, and more. Did you know tomatoes are good for your skin? 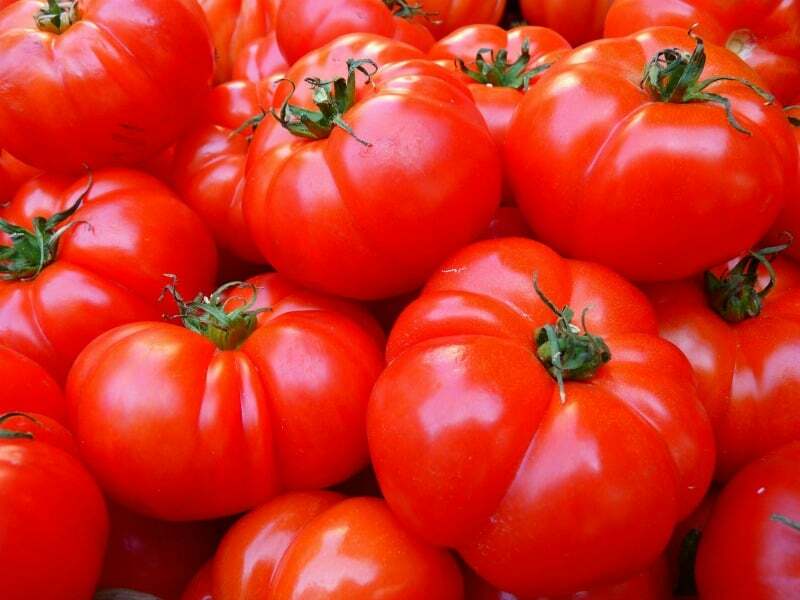 If you have oily skin, or large pores, you might want to use a tomato mask. Don’t leave the mask on too long, as tomatoes are acid and your skin might become sensitive. But give tomatoes a try to cleanse your oily skin and nourish it.